View More In Shoe Brushes. Durable, horsehair brush is a reliable choice for everyday shoe shining. Buffs shoes quickly and easily. For use on all leather products. Applicator Type: Brush; Color(s): Brown; Quantity: 12 per carton. If you have any questions about this product by SC Johnson, contact us by completing and submitting the form below. If you are looking for a specif part number, please include it with your message. 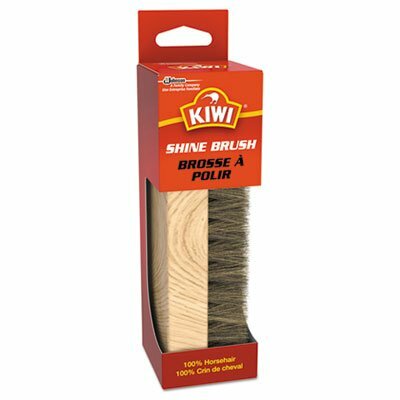 Kiwi Shoe Shine Brush by Johnson S.C. & Sons Inc.